Looking for the best budget laptops for work (and maybe some play)? You’re in good hands with our unbiased review of the best laptops for under £500, under £700 and some of the top-rated 2-in-1s here. Now’s a great time to bag yourself a great laptop deal from the UK’s most trusted retailers, with many offering seasonal special offers on already friendly price tags. Whether you’re looking for a cheap laptop to take care of your everyday business and personal tasks or a powerful machine for a guilt-free price, we’ve tracked down the best value Windows 10 laptops, as vetted by savvy small business owners. We’re afraid if you’re into your MacBooks, you won’t find any here. With most models costing a good four-figure sum, we just can’t say Apple offers value for money, snazzy as they are to use. So we found some great alternatives from the best laptop brands for professionals looking for top value for money – and we’re helping our readers save a pretty penny by finding you the best laptop deals from reliable suppliers today. What’s the HP Pavilion 14-bk052sa like to use? The HP Pavilion 14-bk052sa is a nifty little machine thanks to the seventh generation Intel i3 processor and generous 8GB of RAM – it boots up in just 8 seconds. The keyboard is user-friendly and with 10 hours’ battery life, you’ll be able to focus on your work rather than socket hunting. The battery is hard to top, and the sound is impressive for this price range. For graphic-intense design work, you’ll struggle for under £500, but this screen is just fine for Word, Excel, emails, web browsing etc. The HP Pavilion 14-bk052sa is a great value laptop for small business owners. As long as you don’t spend your days on Photoshop, the fast processor and hard-to-beat battery life are designed for easy everyday office use. Read full HP Pavilion 14-bk052sa review here. What’s the Acer Swift 1 like to use? The Acer Swift 1 is a really user-friendly laptop. We won’t lie: this doesn’t feel like a premium build device, but that’s because it’s around half the price of what you’d expect to pay for these specs. The keyboard is nice to use, but the touchpad could be a tad smoother. This isn’t a laptop for watching HD+ videos or video editing – though the screen is perfect for office admin. Intel Pentium is not the latest processor around and with 4GB of RAM this laptop’s not designed for running too many heavy programmes at once. But for most tasks like booting up, web browsing and transferring files, it’s nice and speedy. Don’t expect the best quality sound, but do expect a laptop with a top battery and special reflection reducing screen covering. You’ll struggle to find a better value laptop for under £500 – especially if you’re after a decent decent screen size, great battery, intuitive design and absolutely killer price. Read full Acer Swift 1 review here. 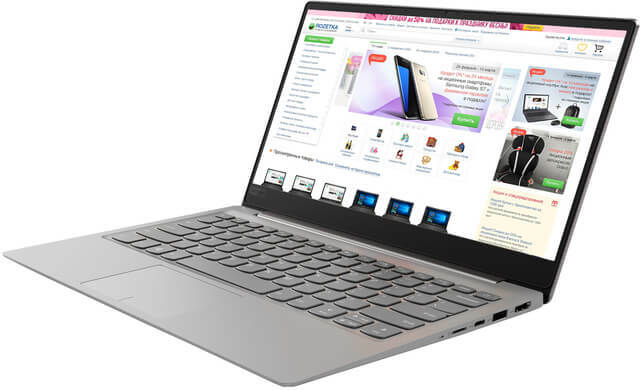 What’s the Lenovo Ideapad 320S (14IKB) like to use? It’s fast, really fast – you’ll be up and running in just eight seconds and the latest i5 Intel Core processor will be able to handle all your work tasks with aplomb. This is a well-crafted machine – the touchpad and keyboard work well, the design is portable and it even comes with plenty of USBs. In a word: superb! With a slim design, 8GB of RAM and seven hours’ battery life, this laptop is ideal for business use. There are even some bonus features like an anti-glare full HD screen, two Harman speakers with Dolby Audio and a megapixel webcam, which all make using this laptop as enjoyable as possible. Lenovo’s Ideapad 320S has got everything small business owners need – speed, reliability and battery. Plus, with a top-notch screen and sound system, it can make your work day that bit more enjoyable. Read full Lenovo Ideapad 320S review here. What’s the Asus Zenbook UX410UA like to use? Asus makes quality, reliable laptops – and you really feel that when you use this Zenbook. It has a slim aluminium frame, handy backlit keyboard and well-crafted touchpad. The solid Core i3 processor and generous 8 GB of RAM will also help you whiz through your daily activities – this is a fast machine that boots up in just nine seconds and can juggle plenty of programmes at once. The specs on this laptop are amazing. Besides the super-fast processor, the screen is outstanding (1920 x 1080 is very high pixel for a budget laptop) and after a day’s work, your eyes will thank you for using it. As with most low- to mid-range laptops, the audio is fine (and more than fine for business use) but probably won’t blow you away. Smaller speakers leave room for a nice, slim build, but you can always hook up your own sound system. And with a six hour battery life, you’ll be able to move around without stressing too much about plug sockets. The Asus Zenbook UX410 is a real gem – you get to enjoy the performance, look and feel of a premium laptop at a guilt-free price. It’s perfect for all your everyday work tasks – and the quality screen and speedy processor make it great for some entertainment on the side too. Read full Asus Zenbook UX410UA review here. 2-in-1 laptops are also called hybrid or convertible laptops. This means the screen rotates, so they can double up as a tablet or work in a space-saving ‘tent’ mode with a touch screen. Dell is known for making quality business laptops and its new 2-in-1 range is designed for small business owners wanting that bit more flexibility. It’s also a little known fact that Lenovo invented convertible laptops and their devices are still considered some of the most reliable and well-crafted on the market today. Both laptop manufacturers are in our top five recommended laptop brands of 2019 which you can read in full here. What’s the Lenovo YOGA 520 like to use? This is a quick, slick and ultra flexible 2-in-1 laptop. At 14 inches, it’s comfortable for all-day office work, but it’s also lightweight and portable enough for any remote work you do. The Intel Core i3 processor is fast and ideal for everyday office admin, especially all your Word, Excel, email and web duties (just go easy on the gaming). It’s incredible how good this screen is for such a reasonable price tag. It’s full HD and even has a special covering to protect you from reflections – the touchscreen is also reliable and the tablet mode is easy to use. The battery will last around seven hours which is more than enough for most small business owners. And the audio is completely fine for work tasks, though you’ll probably want to stick to your hi-fi system for the most ambient music. The Lenovo YOGA 520 is an extremely well-built hybrid with a great screen. With an easy-on-the-eye 14-inch screen, powerful Core i3 processor and well-built 2-in-1 flexibility, it’s ideal for busy professionals. If you need your work to fit around your life, you’ll like how light and portable this little device is and how nice it is to use in tablet mode. It gets great marks for everything that’s important to small business owners and this is the best value convertible laptop we could find. Read full Lenovo YOGA 520 review here. What’s the Dell Inspiron 13 like to use? This is a speedy little device with a powerful eighth-generation Intel Core i5 processor with a quad-core CPU. That means it’s a whiz at multitasking (even with heavier programmes) as well as a pleasure to use. The keyboard is backlit and the touchpad smooth. Then there are the added touches like facial recognition which gives you that bit more security. The specs are top-notch. You can look forward to an ultra HD screen that’s eye-friendly, a quality webcam that’s even fit for business calls and a battery that lasts around six hourse. The speakers are decent for a hybrid, but if you’re really into your ambient music, we’d recommend you plug in your headphones or hi-fi system. If you’re on the hunt for a portable and powerful 2-in-1 laptop for around the £700 price mark, you won’t find too many options. But with top specs like its lightning fast quad-core processor, ultra smooth touchpad and professional quality webcam, the Dell Inspiron 13 was made for taking the pain out of the work day. Read full Dell Inspiron 13 7000 review here.